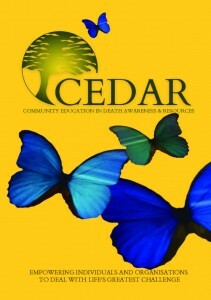 CEDAR is very pleased to have Peter Walker create new designs for our programmes in death education. 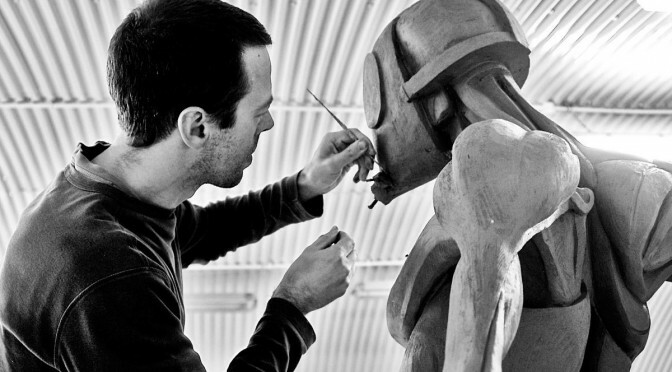 Peter Walker is a Sculptor of International success. His work encompasses large-scale pieces of public art, primarily bronze statues that stand permanently on display across the UK. His work has led to his involvement with many different community projects engaging people with sculpture, drawing, painting and sound and light installations. 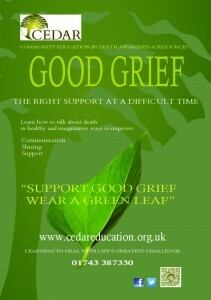 CEDAR recently has had the honour of Peter Walker’s creative assistance in the design and development of Banners and Flyers which advertise CEDAR’s workshops called ‘Life Lessons’ and ‘Good Grief’. We cannot thank him enough for his generosity in developing these for us to which he put our blue butterfly in flight.